Premenstrual Dysphoric Disorder, PMDD, is treated with gynecology services in many of the same ways that PMS is treated. There are four main treatments for PMDD. First, good nutrition. Experts recommend that women who suffer from PMDD should limit their intake of salt, caffeine, sugar and alcohol. Supplements such as B6, vitamin E, and calcium will help east the symptoms. Second, exercise. Aerobic exercise eases the symptoms of both PMS and PMDD. Third, medications. There are several antidepressants used to treat PMDD. Fourth, diuretics can help with fluid retention and bloating. The symptoms of PMDD are similar to the symptoms of PMS but with greater intensity and added symptoms. Symptoms include mood swings, depression, fatigue, irritability, tension or anxiety, anger, change in appetite, sleep problems, bloating, joint paint and a number of other symptoms. These symptoms can be treated with medication, diet and exercise. Only your doctor can diagnose PMDD and if you feel that you suffer from the disorder, call us at Solace to discuss treatment options to make PMDD more manageable. PMDD can only be diagnosed by your doctor. If you feel that you have any of the symptoms of PMDD, call your doctor to discuss your symptoms and medical history. Before you reach a diagnosis with your doctor you may need to schedule a psychiatric evaluation to exclude any other emotional problems such as anxiety or depression. Your doctor will also check for underlying medical issues like fibroids or menopause. PMDD is a serious condition and can seriously disrupt your daily activities. 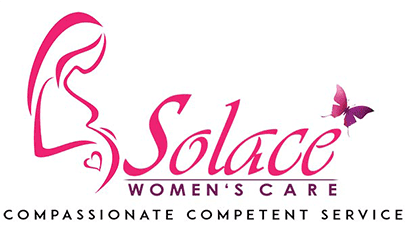 Contact Solace Women's Care to schedule an appointment to talk about the symptoms and treatment of PMDD. You and your doctor and find a treatment plan that will give you back those days of your life and minimize the effects of PMDD.